Tomorrow I’m doing the Rock n Roll San Diego Half Marathon Relay with my dude. I’m all in. But I’d be lying if I told you I was prepared. I am not. 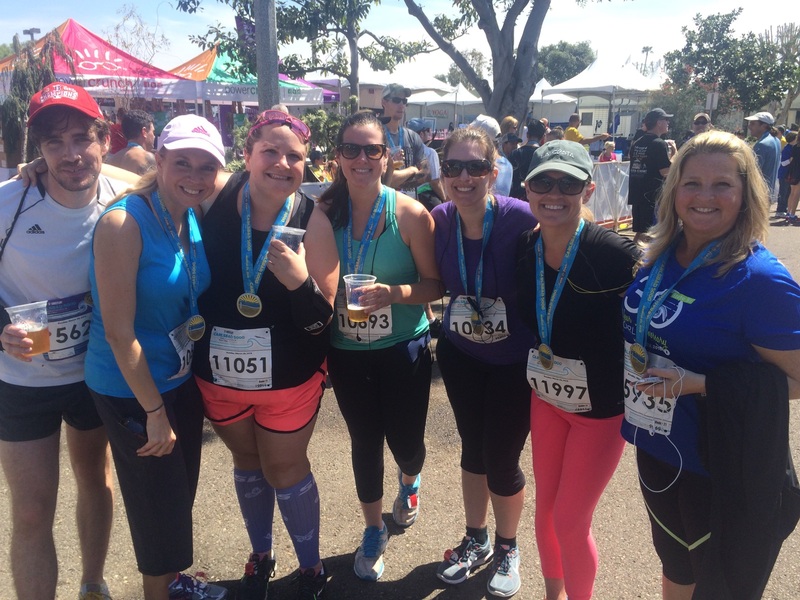 My last 5K – friends, fun, but not a great pace. When I started this blog I was trying to develop a love affair with running. I don’t necessarily think that happened. I acknowledge that running is helpful for building cardio endurance, and in general, it’s probably a good life skill. Eventually we are all running from or to something! Races became a way to make sure I got a decent workout and to be able to track my progress. It was fun, it was something I could do with friends, or my dude – and sometimes I did it all alone. The 5K distance is easy, I did a 10K in December with little trouble. I should be fine, right? I’m not so sure. I’ve scaled down workouts and ramped up nutrition lately. I’ve been putting just 4 hours a week in. That’s a BIG change from where I was in November. But, I generally feel pretty good. I hope that I am just psyching myself out on this. However, I am leaner than I ever have been. I have a pretty physically demanding job now that I’ve adapted very well to. I can go hard for 2 or more hours. I’m only in for 6 miles. I can *do* this. This race is going to be probably only one of 3 I do this year. That’s a big change from one a month that I tried to do a few years ago. I have less t-shirts and medals to show for it, but I concentrate more on the performance. I’m going to bed early, I’ve been avoiding dairy. I’m trying to hydrate. My infection still hasn’t cleared 100% and the antibiotics are going to make sunscreen really important. So here I go (tomorrow). I’ll see you on the other side of the finish.